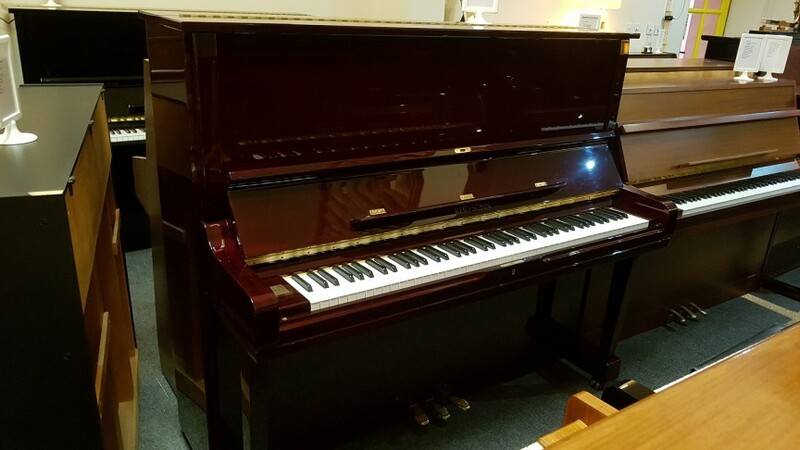 This piano is 7 years old 131 cm same height as a Yamaha U3. The striking case is in high gloss cherry, there is a full clean 88 note keyboard. Our bundle provides a 3 year GUARANTEE, FREE local DELIVERY and first TUNING. WELCOME TO COME ALONG AND PLAY.